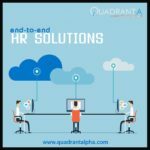 The reason why we use an anti-virus software is because we know it is supposed to stop worms, malware and virus and many computer users prefer using free anti-virus software. PC World tested nine security programs and in their October 2009 issue of, the top three, free anti-virus softwares. Among the nine that were tested I decided to focus on the top three security programs. In third place was AVG 8.5 Free which scored 86 from PC World and had a performance score of “Very Good”. Under the category of anti-virus and anti-spyware detection it scored 95.8% on overall malware detection, 47.2% on heuristic detection with two-week old signatures, 90% on rootkit detection and 80% on rootkit removal. In terms of detection of adware samples, the Free AVG 8.5 scored 94% but scored only 65% in terms of successful elimination of malware. Alwil Avast Antivirus Home Edition came in second and had an overall rating of 91 from PC World. On overall malware detection, it scored 98.2% and 46.1% on heuristic detection – slightly lower than AVG 8.5 Free in this category but, was way ahead in rootkit detection and removal, scoring 95% and 90%, respectively. It was 2 points lower than free AVG 8.5 in terms of adware detection scoring only 92% but when it came to malware cleanup it was ahead by 20 points, receiving a score of 85%. 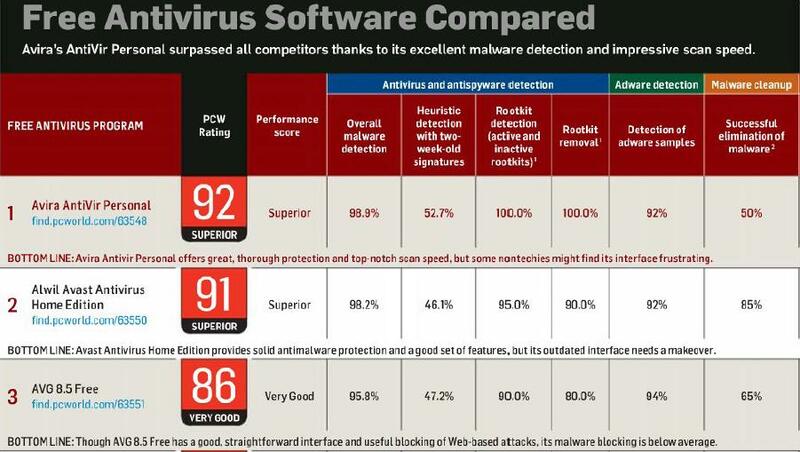 Among the nine free antivirus softwares tested, Avira Antivir Personal topped the list with a rating from PC World of 92. It received a performance score of “Superior” together with Avast. It dominated the category of antivirus and antispyware detection with a score of 98.9% on overall malware detection, and also topped the heuristic detection category with a 52.7% score. In addition to that, it received two 100% scores for rootkit detection and removal. AVG dominated the adware detection category and Avira was 2% lower, scoring 92% like Avast. Malware cleanup was dominated by Avast followed by AVG and among the three, Avira was 3rd with a score of 50%. 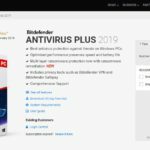 The antivirus test was done by PC World in partnership with AV-Test.org of Germany which made use of its vast collection of malware to help test detection rates and scan speed. PC World scrutinized the apps for each to test malware removal. The partnership came up with the top three free antivirus softwares. Wow, I use Avast and it’s really good. I haven’t tried Avira though, might consider it after reading this article. .-= Cher Cabula´s last blog ..Create your own comic =-.